Our world has lost an extraordinary man. Elmer was a gifted inventor, designer, teacher, husband, father, grandpa, and papa who consistently made things better with his sharp mind and quick wit. Born in Wakaw, SK, to Anthony & Evangeline (Venne) Redl, his early years were spent farming with his dad & Uncle Louis. At 21 years of age, Elmer met his best friend and the love of his life, Edna Kurtenbach. They married on December 9, 1953, and within 10 years were blessed with a wonderful family of five children. In 1965, a move to Saskatoon started a different chapter of their lives. Recently, they celebrated 65 years of love with their family of thirty six! Elmer was always inventing and creating; from initial design to completion. One of Elmer’s many creations was the Kinsmen Park Children’s Train. This amazing creation ran for 35 years. Two local businesses, Flo Form Countertops and Redl World Class Kitchens, benefited from his amazing inventions. Elmer designed and built numerous machines to aid in the manufacturing processes of these two companies. Nature, and specifically trees, were loved by Elmer. He took a barren half section of land south of Saskatoon and planted more than 10,000 trees to produce the beautiful, forested land that he and Edna enjoyed from their windows every day. Elmer’s trees were his pride and joy and his family, who reside there, will continue to love them as much as he did. Throughout his life, Elmer unselfishly worked for his family and others. Finally, at the age of 50, he decided to do something for himself. He bought an airplane and then earned his pilot’s license. He fulfilled his love of flying by spending many years researching, flying and building many types of airplanes. In his final years Elmer’s mind was still active, though his memory was starting to diminish. For someone who was always thinking and planning, this was a bit frustrating as Elmer always had wonderful ideas about how to improve the world, make things more sustainable, and reduce our footprint on the land which he loved so much. Left to fill the void of his presence is his wife of 65 years, Edna Redl (Kurtenbach); five children, Daniel (Lorraine) Redl of Spring Lake, AB, Gerald (Michelle) Redl of Saskatoon, Laura (Henry) Dutka of Saskatoon, Tom (Ieva Kimonte) Redl of Edmonton, and Lynn (Clint) Ekdahl of Saskatoon. Also left to miss him greatly are twelve grandchildren; April (Aaron) Fidler, Melissa (Barry) Esford, Britni (Corey) Michel, Sarah (Jared MacKay) Dutka, Walker Dutka, Courtney (Jimmy) Bubnick, Julia Redl, Ryan (Madison Stadnyk) Ekdahl, Tommi Redl, Alexander Redl, Anneliese Redl and Hugo Kimonte. Great grandkids were a joy of their Papa’s life and they will never forget his smile, hugs and willingness to offer them vanilla ice cream; Justin, Jenna & Elizabeth Esford, Jessica & Julia Fidler, Estee & Evangeline Michel, and Cohen MacKay. 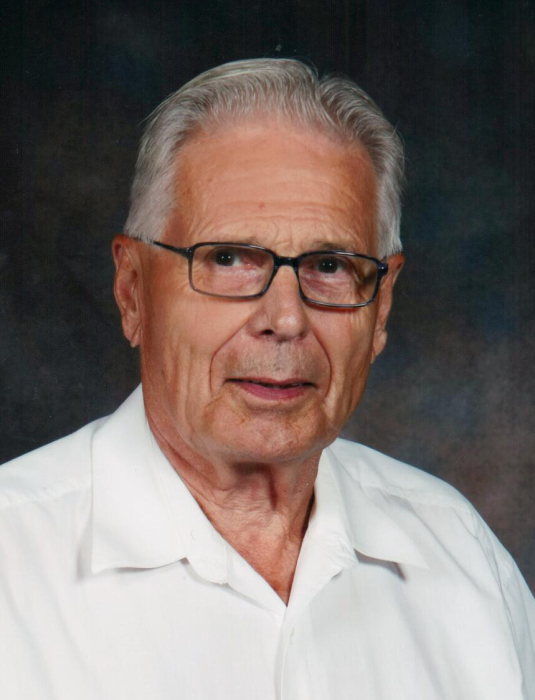 We invite you to share in a celebration of this incredible man’s life at St. Paul’s Co-Cathedral (720 Spadina Cres E, Saskatoon) starting with the Vigil for Elmer at 8:00 p.m. on Friday, April 5. The Mass of Christian Burial will be celebrated at 1:30 p.m. on Saturday, April 6. In lieu of flowers, the family kindly requests donations to the RUH Foundation; Legacy Fund for Trauma Care in memory of Elmer. The doctors and nurses who cared for Elmer in his final days were caring, knowledgeable and very patient. There was a multitude of family members who wanted to spend as much time with this great man as they could, so there was a constant flow of people in and out of his room from the moment he arrived at the hospital to the moment God welcomed him home. We are eternally grateful for this quiet, strong man who blessed so many with his clever mind and charm. Arrangements are in care of Chelsea Krentz - Mourning Glory Funeral Services (306) 978-5200. May you plant lots of trees in Heaven.